The ISKCON temple is located in the heart of the Bhubaneswar city. 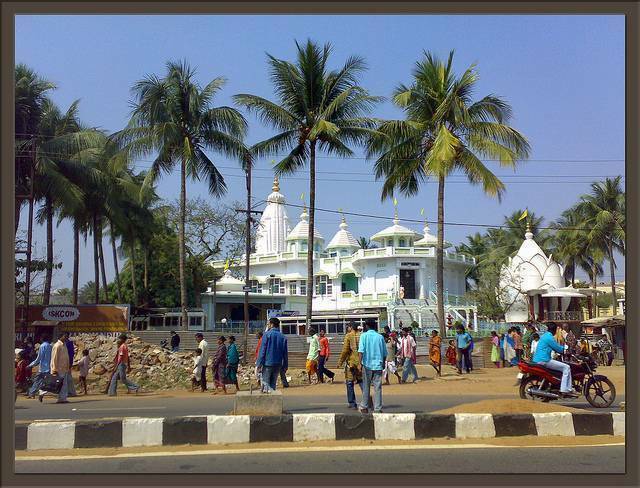 The temple houses the deities of Lord Krishna, Raadha, Balram, Jagannath, Gauara and Subhadra. It propagates the sankirtana movement and congregational chanting of the name of God. The ISKCON has two centers in Bhubaneswar, one is the Sara Dwarf and the other one is situated at the outskirts of the city. You can listen to the beautiful chants throughout the day.